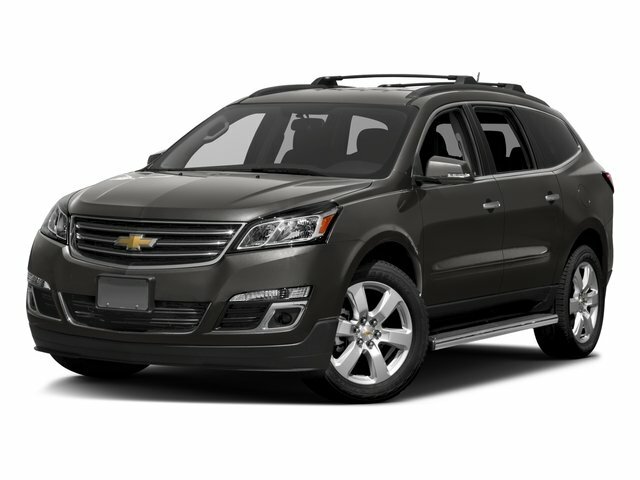 Description 2016 Chevrolet Traverse LTZ Clean CARFAX. CARFAX One-Owner. 3.6L V6 SIDI FWD Siren Red Tintcoat Traverse LTZ, 4D Sport Utility, 3.6L V6 SIDI, 6-Speed Automatic, FWD, Siren Red Tintcoat, Ebony/Saddle Up w/Perforated Leather-Appointed Seat Trim, 20 x 7.5 Machined Aluminum Wheels, 3rd row seats: split-bench, 7-Passenger Seating (2-2-3 Seating Configuration), 8-Way Power Driver Seat, 8-Way Power Passenger Seat Adjuster, Automatic temperature control, Bluetooth For Phone, Body-Color Moldings w/Chrome Bodyside Accents, Bose Premium 10-Speaker Audio System Feature, Color Touch Navigation System, Exterior Parking Camera Rear, Forward Collision Alert & Lane Departure Warning, Front Bucket Seats, Heated & Cooled Driver & Front Passenger Seats, Heated front seats, Heated Steering Wheel, Memory Package, Memory seat, Navigation System, NavTraffic, Perforated Leather-Appointed Seat Trim, Power driver seat, Power passenger seat, Power-Folding Heated Body-Color Outside Mirrors, Preferred Equipment Group 1LZ, Rear air conditioning, Rear Audio System Controls, Rear Power Liftgate, Remote keyless entry, Remote Vehicle Start, Side Blind Zone Alert & Rear Cross Traffic Alert, Tri-Zone Automatic Climate Control, Ventilated front seats.